Please take a minute to sign our guestbook here and let us know what you think about our upcoming litters, past puppies, web site or breeding goals and ideals. Date(s): February 18, 2006. Album by carmeta french. 1 - 4 of 4 Total. 2298 Visits. Sign the Guestbook. Displaying 17 of 17 entries. 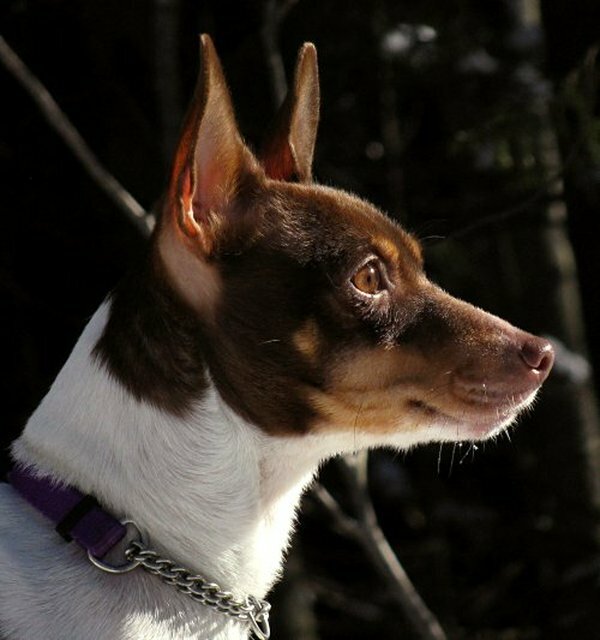 Searchng for a rat terrier to train as a service dog for medical support or therapy dog. My Rat Terrier Twiggy has developed seizures and will retire. We need to begin training ASAP. Should you know of a breeder near State College, PA please advise. Keep visiting your site as I ponder whether to add a second rattie to my household. Have fallen in love with the breed. You have some beautiful dogs. It was great meeting you at the Locke NY dog show. We had a great few hours and I had the pleasure to meet with some of your dogs. I was impressed but their good looks and great temperament. I'm just broke the news to my husband that I'm getting on a waiting list for one of your puppies. I haven't told him how far we have to drive to pick one up! Excellent dogs, you honor the breed! I enjoyed looking at your site! I have two rescued rat terriers that I show in Rally and Obedience to many titles and championships. They're such smart guys, I'm just keeping my eyes open for the source of my next dog. Beautiful Flutterbye ... thanks for loving her! I love little Blaze and hope that things work out to bring her home with us! Your dogs are beautiful! After searching and searching I feel that you have the cutest dogs around! Thanks for sharing! Just stopped in to say hi. I was showing off pictures of Winkie during my English class while we were in the PC lab. Can't wait to convince my dad, because mom definitely wants him now! I live over the Mt. in Waitsfield. I'm interested in purchasing a rat. How much are they? Have a super duper St. Ratties Day Birthday Mr. Radar Love. You have gorgeous dogs and a beautiful family....Great site, always a pleasure to check out and see what is nes....Hugs! Thank you for visiting! Please give us a quick hello! Thank you! "I have a two year old rat terrier that I bought from Ellie brown his dad is killiens deacon I would like t..."